There are a number of varieties to choose from although most people equate sunflowers to the large 6 to 10 feet tall mammoth ones, which, in my opinion, are the most fun to grow. The tips outlined here are basically the same for most varieties. If you happen to be planting a sunflower variety that is native to a specific region some of these tips may vary. Sunflower seeds are large seeds and therefore can and really should be planted a bit deeper than what you may be used to with a vegetable and/or herb seed. One inch beneath the surface will do. As their name suggests, “sun”, they love the warm temperatures and best germinate in soil that is 75 to 80 degrees Fahrenheit (24 to 27 Celsius). Typical germination time is about 10 days, although it can be quicker under optimal conditions. You can start sunflowers in indoor but most of the research I have read suggests that they do not transplant well and do better when started outdoors. Now that you have your sunflower seeds in the ground, what should you do to ensure they will be successful? If you are growing a few of them in the same area make sure you space them out at least twelve inches. Also, with larger varieties,such as the mammoth grey, they might need a little support as they get taller. This isn’t always the case, but better to be safe then sorry. While sunflowers are small make sure you give them a heavy watering and once they become larger you can ease up on the water a bit to a moderate daily watering. Sunflowers that produce edible seeds can take anywhere from 3 to 4 months to mature so hang in there if you are looking to fill a bucket with their yummy seeds. If you are growing sunflower varieties simply for their looks to pick and have fresh on your breakfast table, then as soon as the head opens up you are good to go. Sunflowers are one of the most overlooked plants to add to a home vegetable garden. Since most of the space they take up is vertical, additional room is not that much of a concern. I like to add 4 to 5 of them in the center of my large vegetable garden to give the garden not only a nice look but great seed producing plants. From Iowa to Georgia and everywhere in between, the urge to start your vegetable gardens is everywhere. In today's first news we information about some workshops to help you with your gardening skills, a vegetable gardening school in Pine Mountain Georgia, how to start your seeds indoors from Calgary, and a topic that is front and center on the minds of many home vegetable gardeners, avoiding GMO seeds. 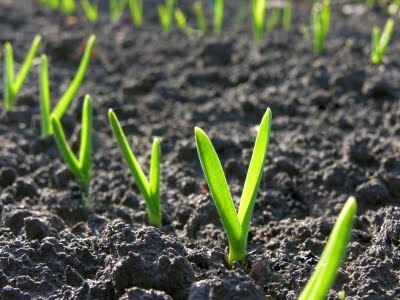 For more information on Home Vegetable Gardening visit http://www.facebook.com/veggiegardening and join the largest vegetable gardening page on Facebook. Admit it. You have the itch. You live in colder climes but yet you don’t want to wait for May 15 to begin playing in your vegetable garden. You don’t have to. Have at it now. 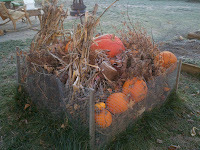 To start with, pull, rake and grade to bare earth the vestiges of last year’s harvest. Make adjustments as well to hardscape elements, like trellises for beans, cukes and other vine crops. If your garden soil is well amended and well drained, you may be able to turn some over and rake it into a nice seedbed. If it’s not, don’t worry, just skip turning it over. Planting some things early is a waste of time because seeds will rot before sprouting, damp off shortly after or simply be killed by frost. Some other plants, however, will cheat quite well with a little protection. Peas, broccoli, beats and carrots will all do OK in colder weather. Just wait until night-time lows are in the lower 40s and beware the occasional cold snap which will require extra protection. That protection can come in the form of plastic sheeting or even an old blanket. Greenhouse structures with trays and zippered plastic are “on sale” in some of our Western New York grocery stores but $59.99 is not a bargain. You can go to the old standby, creating your own small artificial greenhouse using old storm windows. Old glass shower doors work as well. Just be careful – if you have a nice garden plot and enjoy barefoot gardening, broken glass can spoil your fun in a hurry. Also, many old storms have lead paint and lead-laden glazing that you really don’t want in your garden. Other makeshift season cheaters are good as well. For example, those broccoli plants you started several weeks ago can start to survive outside with some extra care. Here’s a favorite trick. Remove the bottom of a plastic milk jug. Discard the lid. Place the altered jug over the top of young plants. The jug will provide a warmer environment and frost protection. Leaving the lid off will prevent overheating on sunny days. No matter what, be creative. Experiment. Keep a diary so you remember what worked and what didn’t. Nothing ventured, nothing gained. Do your seedling plants look like this? Thick robust stems, broad leaf size, healthy green color, 100% germination? If not, you may be using incorrect indoor lighting to grow your plants. Not all grow lights are created to capture the ideal wavelengths and light intensity that plants need to flourish. Plants have the ability to capture light and store lights energy in chemicals like sugar and starch which are then used to power the plants cells. This allows the plant to grow. This process is called photosynthesis. Chlorophyll drives this major plant process. Scientists have learned that chlorophyll is best at catching red and blue light and this is what drives plant growth. LED grow lights calibrated to the proper wavelength and intensity provide the correct lighting plants need to drive major plant function and growth. Plants need blue light for stem and foliage growth and red light for flowering growth. The rest of the light in the light spectrum is wasted. Not only is it wasted, it can be harmful to the plant. If you find your plants are “reaching” for the light, growing ‘tall,’ ‘spindaly’ or ‘leaning’ it is most likely because they are not getting the correct light wavelength and intensity that they need to function, so they are “searching” for it. LED grow lights do not produce much heat. This is because LED’s are energy efficient, creating 90% light and 10% heat, where as conventional lighting, is the opposite. If the temperature gets too high, plants go into a safety mode and drastically reduce their growth and production. They stop the transpiration process to avoid losing water. This greatly stresses the plant and hinders the growth process. If your seedling plants are not flourishing you may be using the incorrect lighting. A good LED grow light with the proper wavelength and intensity provides the correct amount of light and heat your plants need to grow healthy and strong. Michele Daniels of Grow Home Organics is a contributing write for Mike the Gardener Enterprises, LLC, who runs the largest Vegetable Gardening page on Facebook. Learn, learn and learn some more. That is today's theme for Vegetable Gardening 1st news. Spring has finally sprung, in calendar sense anyway, but even as most still dig out of some left over winter snow, there is hope on the horizon for your vegetable gardening needs. From co-ops to colleges, there are a number of free classes being offered on vegetable gardening, all designed to help you out. Need a coach in the garden? 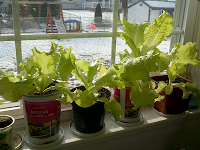 Vegetable Gardening first news provided by Mike the Gardener Enterprises, LLC, exclusive home for the Seeds of the Month Club and provider of the largest Vegetable Gardening page on Facebook. One of my favorite movies is a Clint Eastwood flick called “The Outlaw Josie Wales”. I won’t go into great detail about the movie but if you haven’t seen it and are an Eastwood fan like myself you should definitely put it on your Netflix queue. During a part of the movie, Eastwood’s character, Josie Wales, meets up with a salesman that is selling a potion of sorts that he, the salesman claims can heal anything, is a wonder ailment and good for tackling just about everything. At that moment, the tobacco chewing Josie Wales expectorates onto the salesman’s nice white suit in which Wales then asks the salesman if it removes stains. Well, I can’t tell you if Aloe vera (Aloe for short) will remove stains, like this salesman’s super potion from the movie, but it seems we use Aloe for just about everything from burns to bug bites and anything in between. The bigger question is, can you grow Aloe in your home vegetable garden to have access this “wonder” plant? The answer is, it depends on where you live. 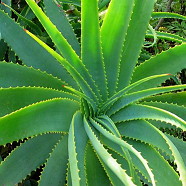 According the USDA, Aloe is hardy in zones eight through eleven. 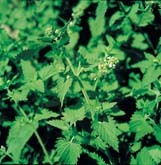 It is able to survive in areas with low natural rainfall and is intolerant of heavy frost or snow. If the plant gets infected with Spider mites and aphids it will cause the health of the plant to deteriorate and if you plant Aloe in pots (Terracotta pots preferred) make sure the pot has plenty of drainage and the soil is a bit more sandy. Aloe, like most plants loves full sun, unless you live in a very hot and humid climate where they should be protected from the sun because they can burn. In areas of the country where cold, frost and snow sets in, it is best to bring your aloe plants indoors for protection. Your best bet is to purchase an already established Aloe plant as it will make growing and caring much easier. Once full grown I can not guarantee that the aloe will remove the stain from your carpet, but it does help sooth sunburn (at least in my opinion). 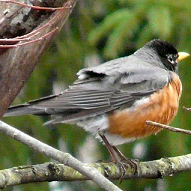 The clocks might have been moved ahead an hour over the weekend, but the birds that chirp giving off the sound of spring do not seemed affected as we are. Without fail, this time of the year, a clear sign that vegetable gardening season is at hand is when I can hear the birds sing in the morning. They sound, like we all do, thankful that this harsh winter is behind most of us. In today's first news we have some gardening seminars coming up and some indoor seed starting techniques. Enjoy! 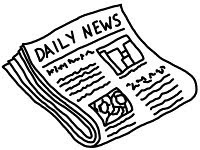 First news is brought to you by Mike the Gardener Enterprises who administers the largest Vegetable Gardening page on Facebook. Do you currently write for or administer a blog surrounding gardening? Then we want to talk to you! Mike the Gardener Enterprises, LLC, home of the Seeds of the Month Club, is looking to work with 20 garden blog writers (from anywhere in the world) for a project we are working on. In today's first news we have discovered a couple of neat trends in home vegetable gardening that you are sure to enjoy. Also, we have discovered 5 really cool ideas for garden planters. Hint, don't throw away that old charcoal grill just yet. Finally, we wrap it up with an in depth article on raised beds and how they can help anyone grow the best food possible. The days are getting a little longer. In our Zone 5, Western New York neck of the woods, the sap is running. The arrowwood shrubs are red. The willow twigs are bright yellow. Snowdrops have been peaking through. It can only mean one thing. Spring will be here soon. As long as people have been gardening, they have been chancing it, pressing their luck with the weather, sometimes with great success and sometimes not so much. The important thing about being a “seed gardener” is you can experiment, set your own timetables and next month, if you’re like me, four new packages of seeds will appear in your mailbox. If you have a package of 30 or 60 seeds, you can experiment with 10 or 20 and still have plenty left to use. There are two ways to stretch the front-end of the season: Indoors and outdoors. Today, we’ll talk about indoors. Indoors, recycled containers and a sunny windowsill are a fine place to start. Also, don’t start tomatoes too soon. They will get leggy and not be as hardy. If you do make that mistake, turn them sideways at planting time and bury the stem. The home improvements stores have eight and 10-quart bags of seed starting mix available for about $3.50. Use it for planting indoors if you don’t have soil ready to go. You can even splurge on little peat pots and seed starting trays with plastic covers. You still will end up economically ahead. There is something awesome, however, about using your own compost, containers and soil and growing a bounty for the cost of the seeds (less than $2.50 per month). Many seeds do fine in cooler temperature, but they will be slow to germinate, so after you have planted a container, set it somewhere warm until you see signs of growth. Artificial lights can be a great help, too. A warming coil, available in many stores and catalogs, can offer a good assist but is not totally necessary. Starting things indoors like broccoli, spinach and lettuce will give you a small jump. Follow the seed package instructions about how much before last frost to start, but don’t be afraid to push the limits. Also, if you’ve decided to take a shot at a longer-season plant, like artichoke, plant now and try to get it going indoors. It may take 180 days to produce and in many areas, our growing season is too short. Still, it can be done. The important thing is there is little risk in experimenting. Keep a garden diary with dates and specifics so you can refer back and remember what worked and what didn’t. Joe Genco is a contributing writer to Mike the Gardener Enterprises, the exclusive home for the Seeds of the Month Club, and an avid vegetable gardener himself, who works for New England Financial as a financial services representative. You can contact him at joegenco@gmail.com. Classes, classes, and more classes is the theme for today's first news in vegetable gardening. You can always tell when vegetable gardening season is at hand. Co-op's, agriculture experts and enthusiasts gather together to share ideas and experiences to ensure that everyone's growing season is a good one. Here are some that made our first news cut this morning. Worried About The Cost of Starting Early? Don’t Be! Plato once said, “Necessity is the mother of invention”. I don’t know how you garden, but for me, truer words were never spoken! If you’re anything like me you race out to your mail box this time of year with great haste, wondering what plethora of gardening catalogs are waiting to greet to you. Lustingly you scan every page and item, marking the ones you want. Slowly you scroll down to see the price and your draw drops to the floor. $500 for a decent sized cold frame? That’s insane! Well at least that’s my reaction! Most of us gardeners don’t have the buku bucks to spend endlessly on what we drool over or even need. So why isn’t it cheaper? It is, you just have to be creative! For example, the catalogs sell all kinds of various contraptions to help us protect from frost and extend our growing season/get an early start. I have used everything from flannel sheets, fleece blankets(by far the best for frost protection); even bulk material from the local fabric store that was on clearance. Another fantastic and easily affordable option is your local second hand store. They almost always have sheets and blankets in stock. Plus, if they get dirty you can simply throw them in the washing machine! Need it to have a frame? Build your own! Lumber (especially construction grade) is cheap, and I would highly suggest something like Velcro to attach the material. That way you can interchange the frame material from frost protection to shade cloth! Speaking of shade cloth, you can get that at your local fabric store too(or second hand store if you’re lucky). Early last summer I was trying to keep my potatoes alive, but since I had planted such a large lot, buying that much shade cloth was out of the question. However, at the fabric store, I found some semi-transparent white, breezy material. I live in zone 9, and by utilizing this process my potatoes lasted into July, and only died back when the potatoes were ripe and ready to be harvested. The white, breezy/semi-transparent material is important if you are going to find and use your own shade cloth. You have to have a certain amount of light transmission for them to grow (or you’ll end up with spindly plants that fall over), and the white (unlike black shade cloth) does not attract, nor trap in extra heat. Don’t be afraid to try something new and experiment; you never know what you will find! Following these few, simple, easy and low cost ideas will largely extend the grow/harvest time of all your crops( both cool season as well as summer vegetables). 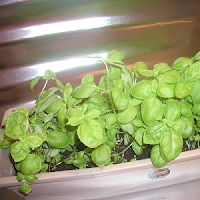 Megan McDonald is a garden blog writer for heirloomgardengirl on Wordpress and is a contributing writer for Mike the Gardener Enterprises, LLC, the exclusive home for the Seeds of the Month Club. Gardening classes, boot camps that will show you how to maximize vegetable production, back yard chickens, raised beds and inexpensive gardening, all make up the topics of this morning's first news in vegetable gardening. Penn State Cooperative Extension in Chester County will hold a workshop, "Thinking of Starting a Vegetable Garden?," for residents interested in growing their own food. As the weather warms and the brown landscape turns green, Stephanie Weyenberg's thoughts turn to planting for her family's early spring garden. I am convinced that composting is the number one thing you can do as a home vegetable gardener that is beneficial for your soil and plants. Adding good quality compost to your soil helps with drainage, nutrients in the soil and so many other things. Along with the soil benefits you can also take a lot of organic material that would otherwise find its way into a landfill and actually put it to good use. The question is, if you are new to gardening, how do you get from that organic material to usable, quality compost? First lets start with what is “organic” material. Organic material can be grass clippings, leaves, your left over dinner, coffee grinds, banana peels and so on. 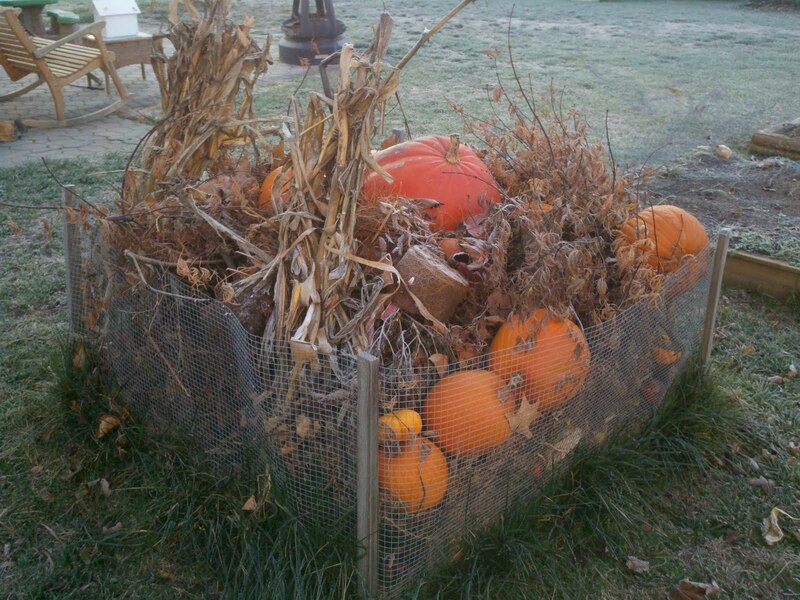 Plastic, Styrofoam and meat bones are NOT considered organic material for the compost pile. Set aside an area of your yard where you will dump all of these items into. As a side note, when it comes to left over food, it is best to bury that. It could draw in unwanted animals like raccoons, opossums, etc. Once you have your pile of organic material in place you are all set. Nature will take care of the rest. Bacteria, insects and worms will work hard together to break your pile down into usable compost. If time is not a factor then you can literally let the pile sit there and it will eventually break down. However, like you, I want my compost a bit faster, so here are some things you can do to help speed things up. Using a yard shredder, chipper or your lawn mower, you can break down larger items in very small pieces. The smaller the pieces, the quicker they will break down. You should be keeping your compost pile moist. Do not over water your compost pile as items in the pile will get matted down, which prohibits oxygen from reaching areas deep inside your compost pile, thus creating a “rotting” smell as anaerobic bacteria takes over. A lite watering every other day, or more often if it gets hot and dry outside will do the trick. A good practice is to get into the habit of turning your pile over. A pitchfork is all you will need to complete this task. Every few days use your trusty pitchfork to literally turn the pile over by bringing the material from the bottom to the top and vice-versa. For optimal results you want to turn the pile over when the center of the compost pile reaches 140 to 160 degrees Fahrenheit.. You can pick up a compost pile thermometer for a few bucks. Finally, remember to keep your compost pile well ventilated. The more air that reaches through the pile, the quicker and the better the outcome will be. A few years ago Bruce Willis and Billy Bob Thornton starred in a film called Bandits. After escaping from jail, the two men begin a bank robbing rush that made Bonnie and Clyde look like child’s play. This has to do with gardening. No doubt about it. After their initial heist, the two concoct a plan to rob future banks that will keep them from being caught by the law. It works perfectly and before they know it, they have garnered national attention. Shortly after the news of the “Sleepover bandits” goes national, they show up at a banker’s home where they will stay the night and go in with the bank manager in the morning to clean out the vault. In the following scene, everyone, the bank manager, his wife and two kids and the Sleepover Bandits are sitting around the dinner table enjoying a spaghetti dinner. Billy Bob’s character comments on the pasta sauce telling the bank manager’s wife that it is delicious. Crying, she thanks him and he begins to guess at what the secret ingredient might be. It adds the perfect flavor and he knows it is right on the tip of his tongue. “Tarragon!” he exclaims excitedly. The bank manager’s wife smiles and nods, though still crying, because she is flattered by his enjoyment of her cooking. Tarragon is the point. Not just Tarragon, but thyme and basil, dill, mint, parsley and oh so many more herbs make for delightful cuisine. So many gardeners do not consider the joy of these tasty leaf-bearing plants though. Having a small raised bed for a variety of herbs, or even a half dozen hanging planters for their growth is a wonderful way to save money on expensive brand name herbs at a grocery store, control the growth (and therefore potency of flavor), and capture freshness. Indoor herbs need only a sprinkling of water once a week as a controlled environment causes much less water depletion. Outdoor herbs, especially those planted in the ground can handle two waterings a week, but regardless of how they are planted, herbs are one of the easiest to grow plants and they arguably add the most to cooked dishes. Most people will not be kidnapped by civilized, bank-robbing, food connoisseurs who appreciate the subtle flavor of tarragon, but that does not mean that the whole family and everyone who enjoys a cook’s dish will not want a fresh, perfect herbification. And yes, herbification is a new word. Use it. Love it. Do it. Herbify: to grow one’s own herbs for the purpose of flavoring a dish to perfect taste. Jody Sperling is a contributing writer for Mike the Gardener Enterprises, LLC. The exclusive home for the Seeds of the Month Club.